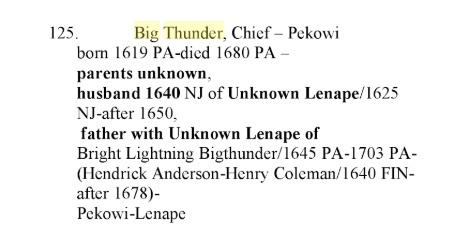 In this second tree, the chief has acquired more names; Big John Mouth Big Thunder, but no Indian name. Humm. Same wife, but no details on her. Anna Coleman is the same as Bright Lightning. He has a son with the exact same name. Hum. This tree is unsourced. I have adopted this wikitree profile and will edit it, but as you can see, it contains the same unsourced information. 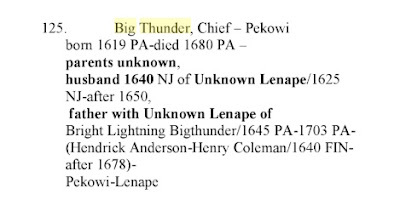 As always, the Shawnee Heritage books are unsourced. These books are nothing but an internet scraping cobbled together and sold to unfortunate people. Do not use these books as a source. What a mess this is. I'm not going to copy anything from here but there are numerous trees with various photos incorrectly attributed to Big Thunder. So let's look at some of these photos. 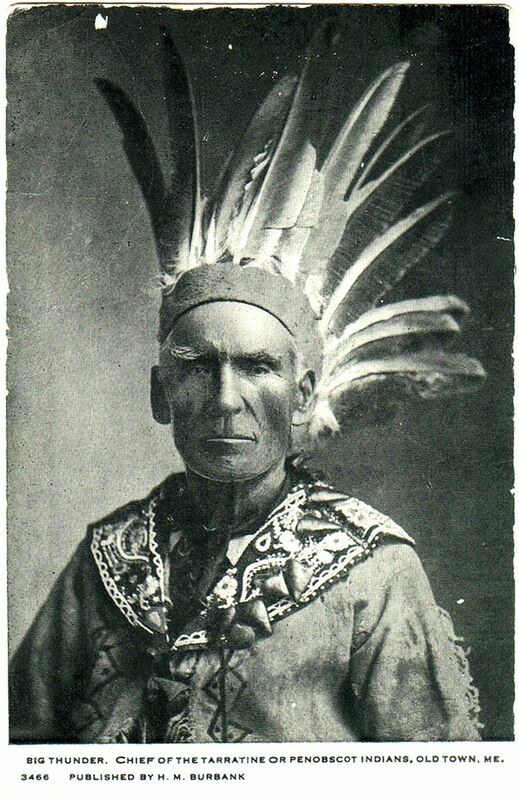 <<<This is a postcard photo of Frank Loring aka Big Thunder 1827-1906. 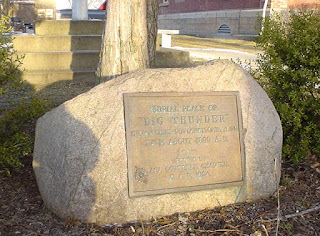 He was a member of the Penobscot Tribe in Maineand worked as an actor in a Wild West show. 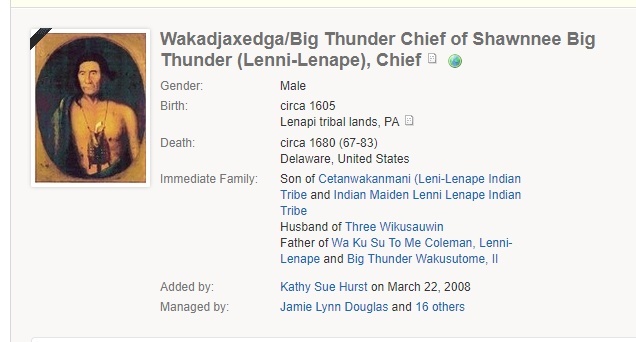 He clearly has nothing to do with Delaware Indians, Bright Lightning or anything to do with her ancestry. 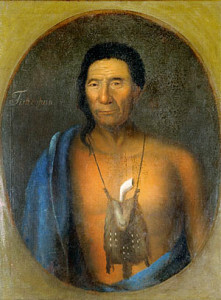 This >>>>>>is the portrait of Tiscohan painted in 1735 by Gustavus Hesselinus.You can see his name on the painting. 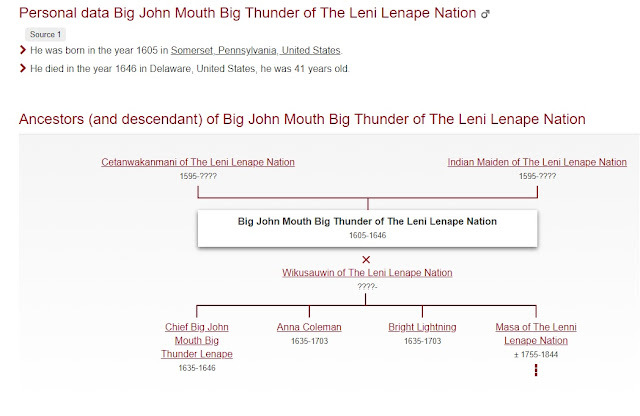 He was born long after the supposed Chief Big Thunder and his daughter and has nothing to do with their ancestry. I am not the first researcher to look for proof for this pair and like all those others, I have failed. There is nothing. But, could it be that this story of Big Thunder and Bright Lightning, and I believe it it a story, has its roots in real people? Let me tell you about a father a daughter that lived in the 1700s. In his bio of General George Washington, Washington Irving described the Native Americans who circulated around General Braddock's camp in the days and weeks leading up to his disastrous defeat in 1755. On the 10th of May, Irving Washington writes, that General Braddock met with some of the Chief's who promised to aid him. One of these chief, he said was White Thunder. He also adds that some of the Natives had brought their families along with them. 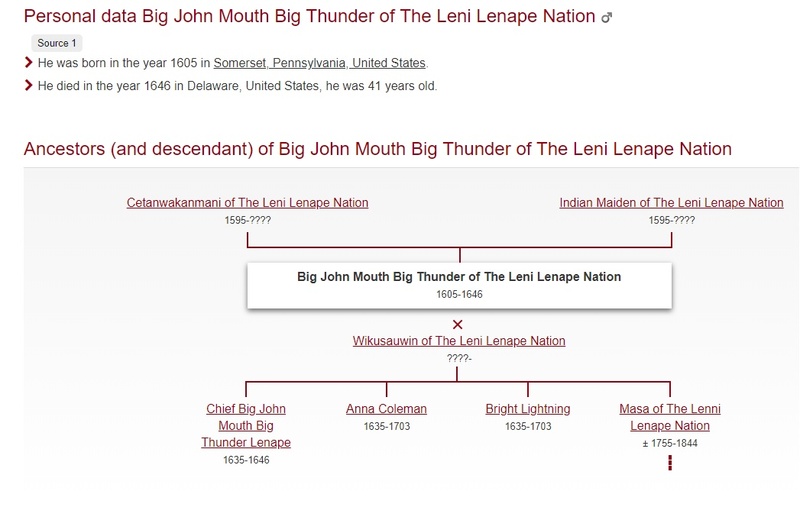 White Thunder had with him a daughter of great beauty, her name; Bright Lightning. The Native women, he writes are a big hit with the white officers and frequent the British camp, describing them as 'wild wood beauties.' This leads to discord and jealousy among the Native warriors who send the women away. His source for this information is The Seamen's Journal. Disagree? Can you provide some proof? Feel free to comment. [1a] Gary Clayton Anderson, Little Crow: Spokesman for the Sioux, (St. Paul: Minnesota Historical Society Press, 2008). Collin G. Calloway, The Indian World of George Washington: The First President, the First Americans, and the Birth of the Nation, (Oxford University Press: 2018). Washinton, George, "The Journal of Major George Washington."